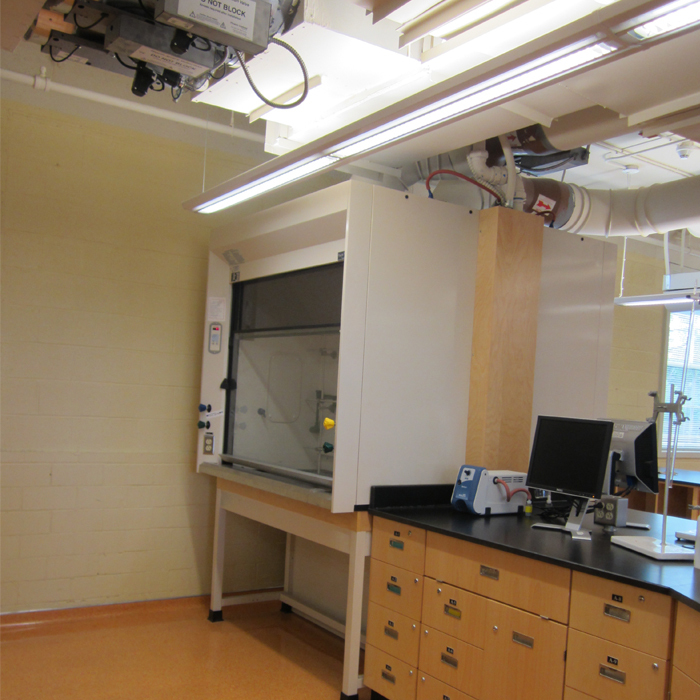 Chemistry Lab Renovations | D. M. White Architecture Inc.
From 1996 to 2005 Darroch was employed by ADI Limited and during that time provided architectural services to UNB Fredericton on many projects, including chemistry, bio-medical, and biology departments. 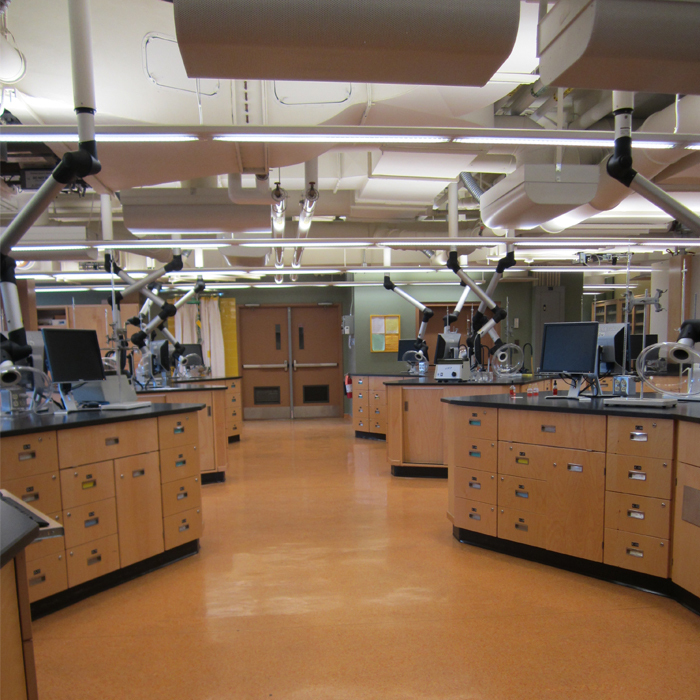 The renovation pictured here was a major chemistry lab renovation at F.J. Toole Hall for which Darroch was Architect of record. 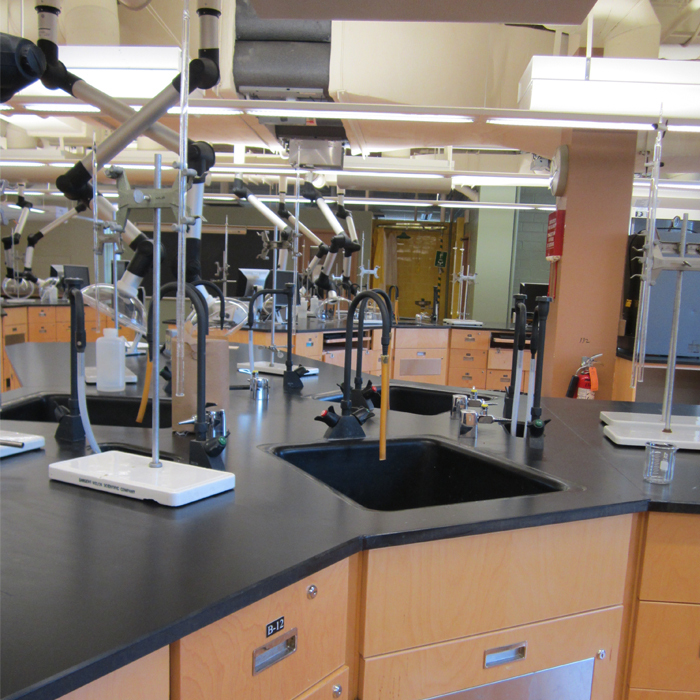 He worked closely with the chemistry department to complete renovations to 4 labs. 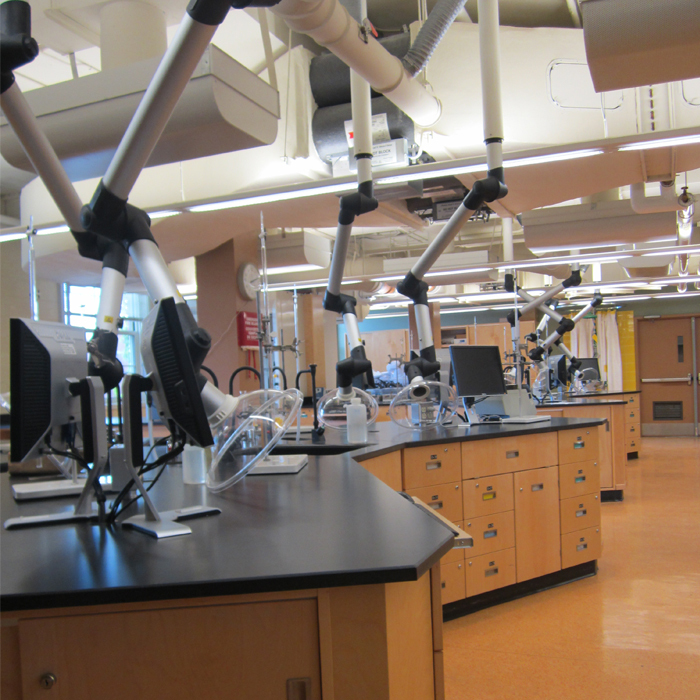 Work included new ventilation system, fume hoods, exhaust extraction arms, strobic fans, casework, flooring, and interior fit-up throughout each lab. 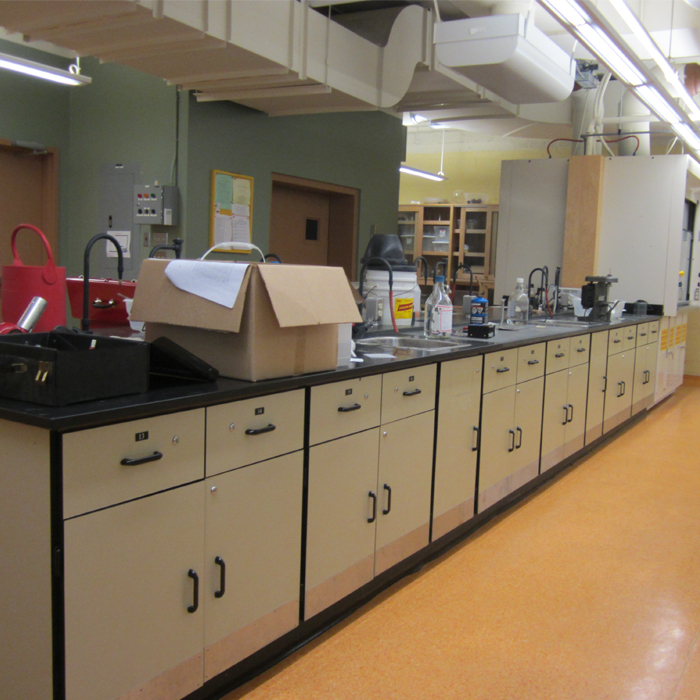 Exit stair integrity was also improved with new fire doors to the building exit stairwells.